Review by Holly Storm | Make a Spooky Witches' Treat Bowl for Your Halloween BOO'ing! 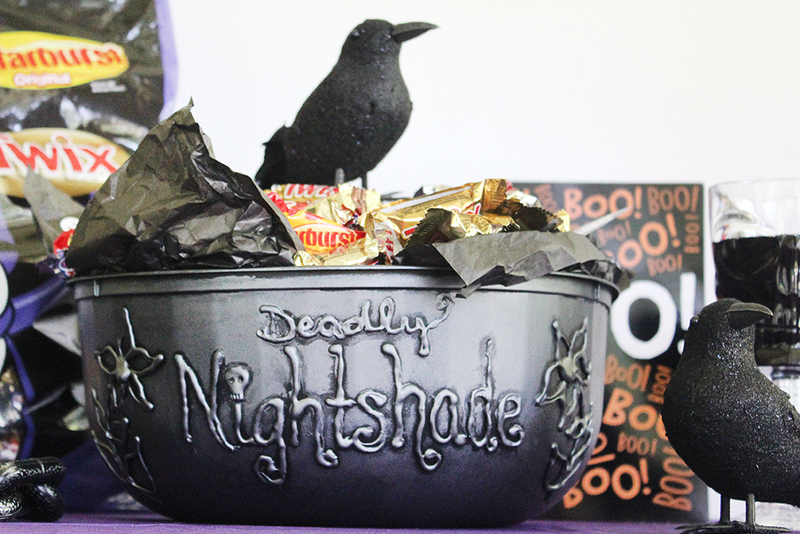 Make a Spooky Witches' Treat Bowl for Your Halloween BOO'ing! I've just recently been introduced to the tradition of BOO'ing, although it's been a thing for over 20 years! 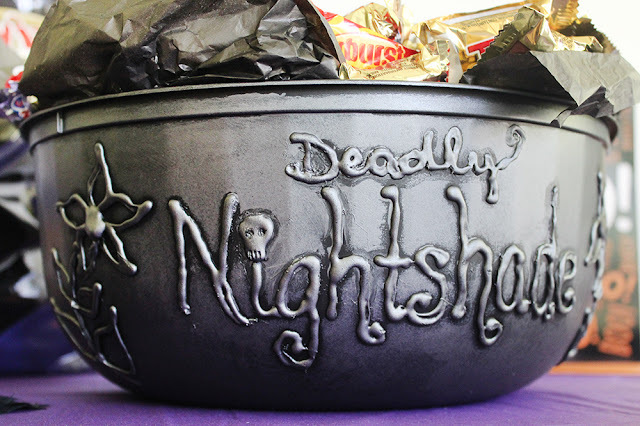 Think of it like a Secret Santa for Halloween. It's a fun way to treat family, friends, neighbors, co-workers, the local fire station, or anyone else you want to show appreciation to. Just (anonymously) leave a big bowl of treats with a note that they've been BOO'ed! This year I want to BOO my husband's awesome co-workers, so naturally, I got crafty. 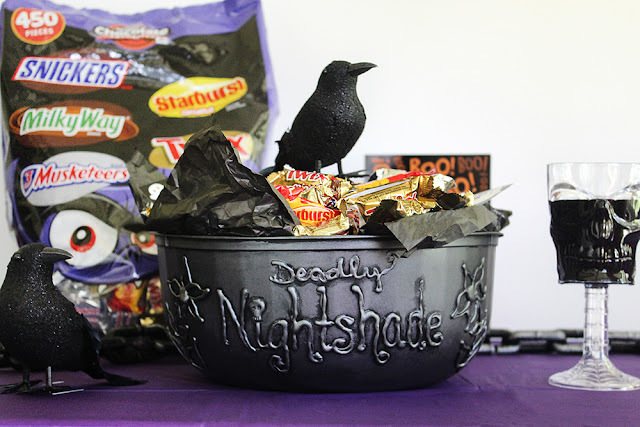 :) Learn how to make this cool and creepy witches' treat bowl for your Halloween BOO'ing or even for a party tablescape centerpiece. Ready to get your BOO on? 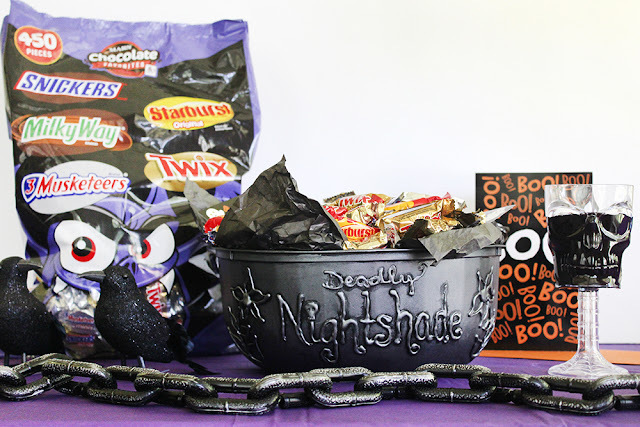 Hover over the photo above to click through and get your candy now! 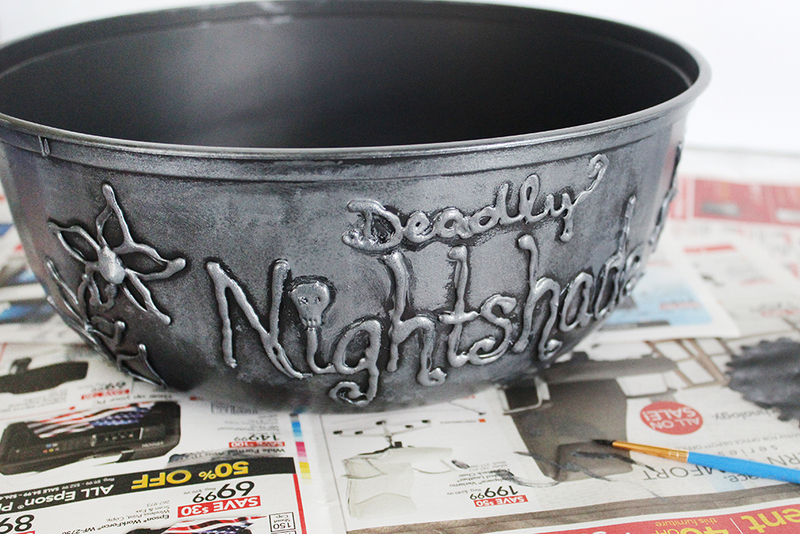 This bowl is the perfect way to show your Halloween spirit and it's way easier than it looks. 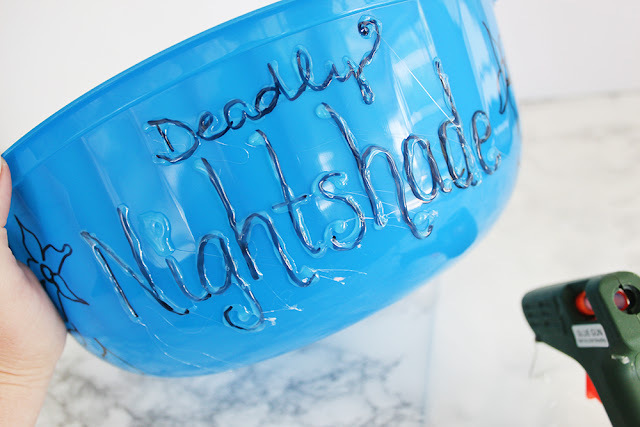 It's made from a plastic dollar store bowl and the lettering is made with a hot glue gun. Don't worry if your hot glue gun lettering skills are not the best (mine aren't either!) 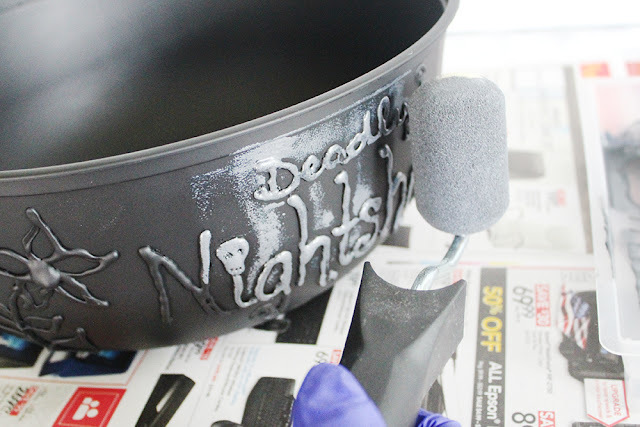 The shaky lettering adds to the Halloween vibe and you can clean up any major boo-boos with an craft knife before you paint it. 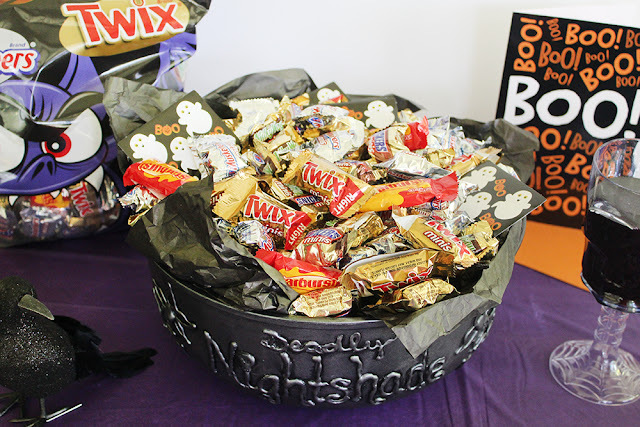 You can choose any size or shape for your container, but I needed something large enough to hold candy for a big group of people, so I went for a big chip-style bowl. Buying in bulk means that you can get your BOO'ing essentials on a budget. 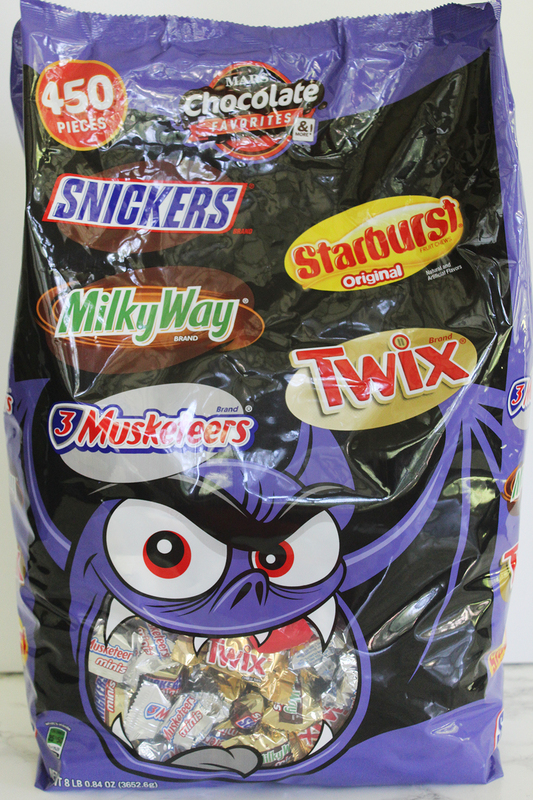 You can pick up a large variety bag of your favorite MARS® and Wrigley candies and pay much less than anywhere else. Look for the 2 specially marked Halloween Designed Bags at Sam's Club now: the MARS® Bat Bag and the MARS® Mad Scientist! 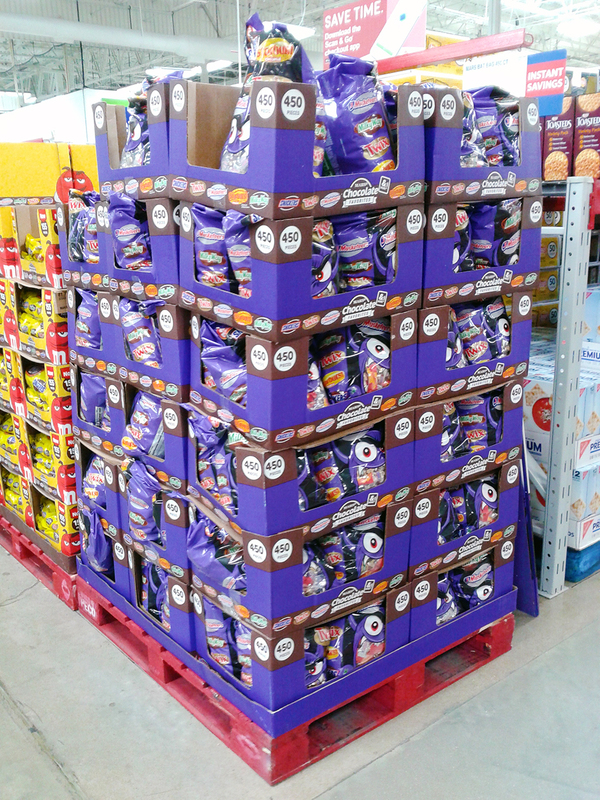 450 pieces of yum! My MARS® Bat Bag can BOO a whole lotta people and there was enough left over for a few treat bags for friends. 1. 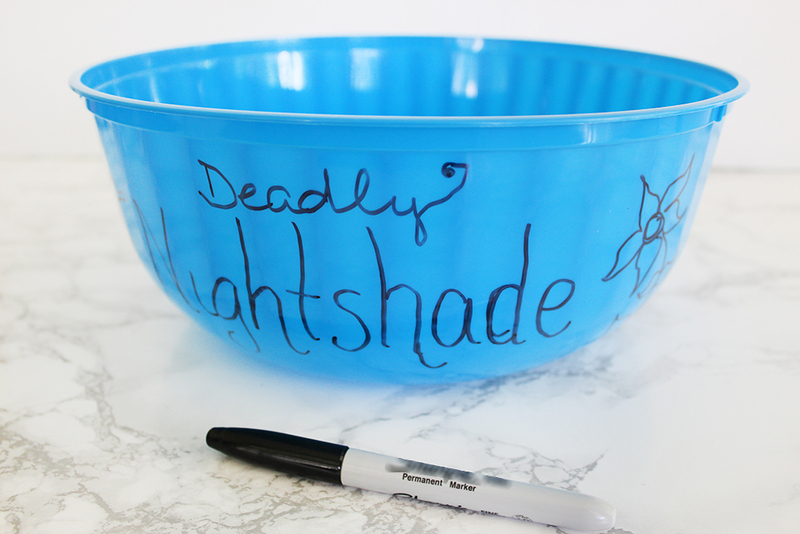 Write your message on the side of the plastic bowl and draw any flowers/flourishes that you'd like in the design. I chose to write "Deadly Nightshade" on mine, but you could also write something like "Eye of Newt", "Toe of Frog", etc.. Feel free to get creative! 2. 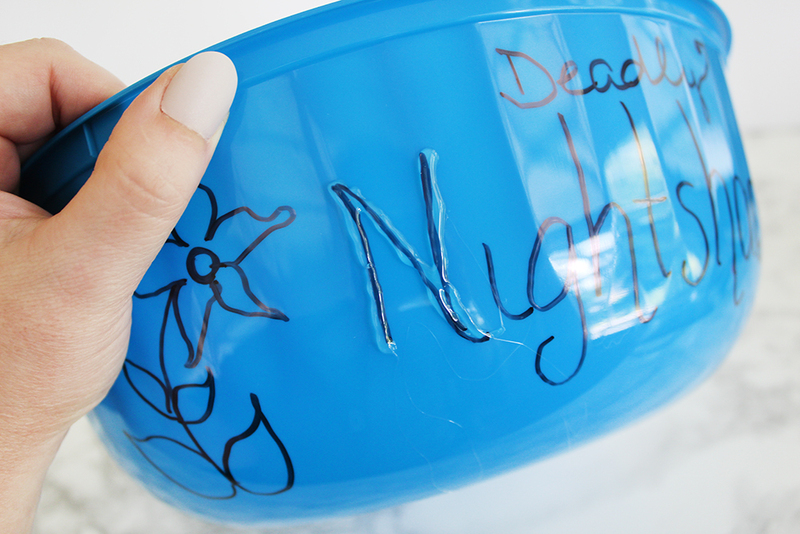 Go over your lettering and designs with the hot glue gun. Don't worry if it's a little messy. 3. Let the glue cool and solidify. You can rub or pull off most of the thin glue tails left from finishing a letter stroke. 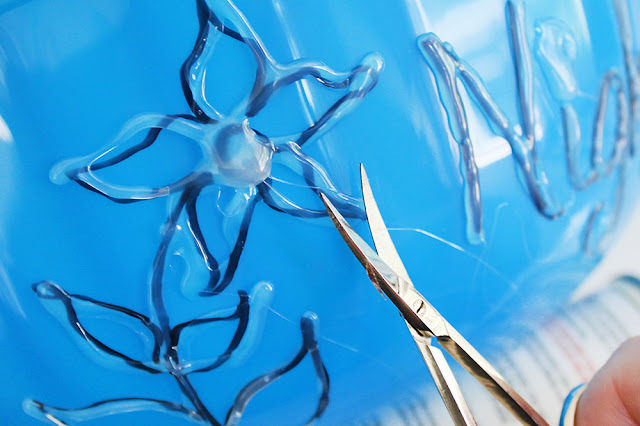 Use a small pair of scissors to cut off any tough glue tails or areas that are too raised. 4. (optional) use a craft knife to cut off any wonky lettering bits and add detail in. I made a small skull to dot my "I", so I added eye holes and teeth. 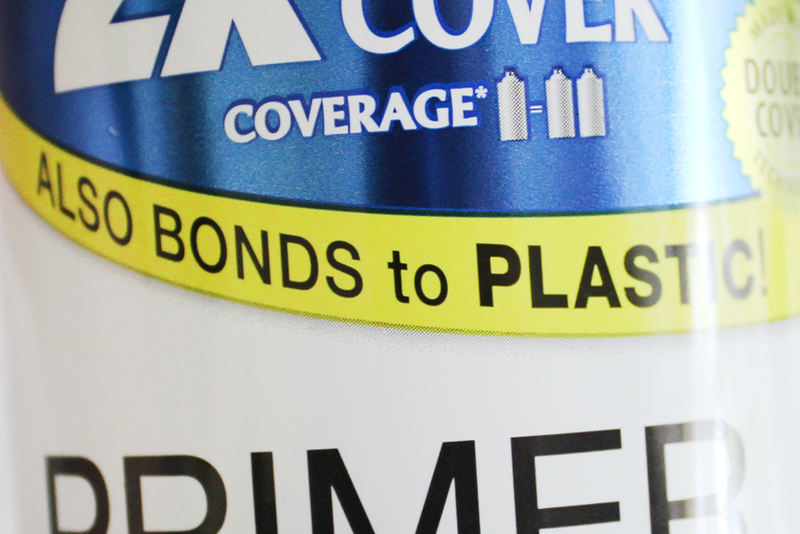 Super-important: Make sure your black spray paint bonds to plastic! You don't want it to bead and run. 5. Spray your bowl inside and out with the black spray paint. Make sure to get into all of the nooks and crannies. I did one good coat and it was completely dry in about an hour. 6. 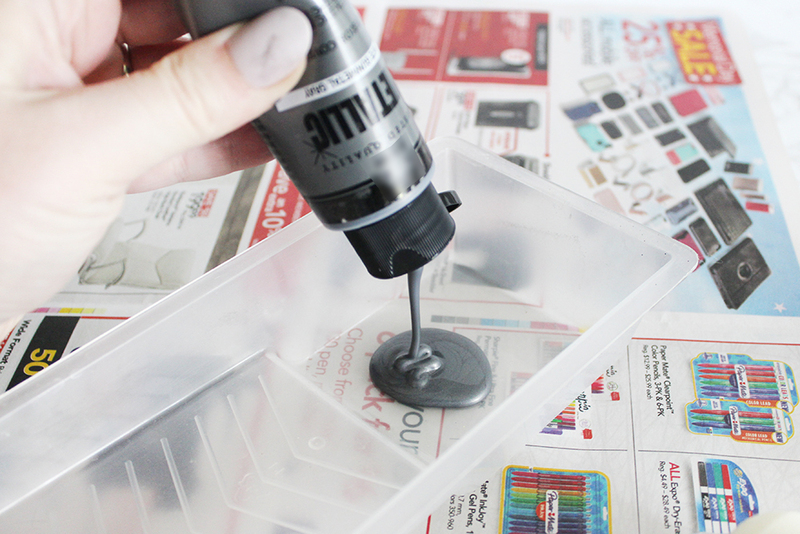 Pour your metallic gray paint into a paint tray or in a bowl/plate and load up your roller. You want to use a smooth roller and not a fluffy one because you don't want a lot of coverage. Just lightly roll over the letters to leave the nooks and crannies black. Roll over the whole outside of the bowl. 7. 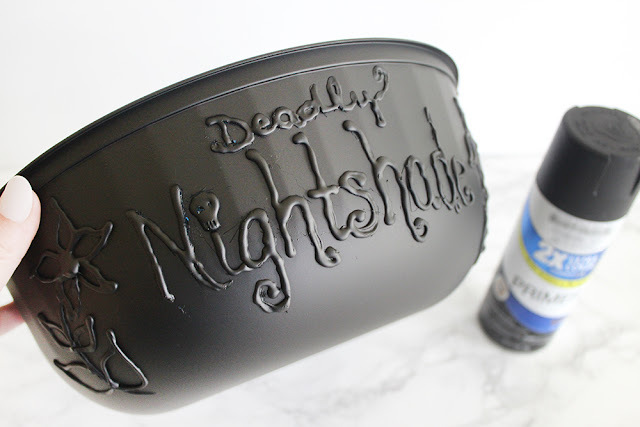 If you were a little heavy-handed with the metallic paint (like I was, lol) you can touch up around the edges of the letters with black paint and a small paint brush. Re-roll lightly with metallic paint if needed. Allow to dry. 8. 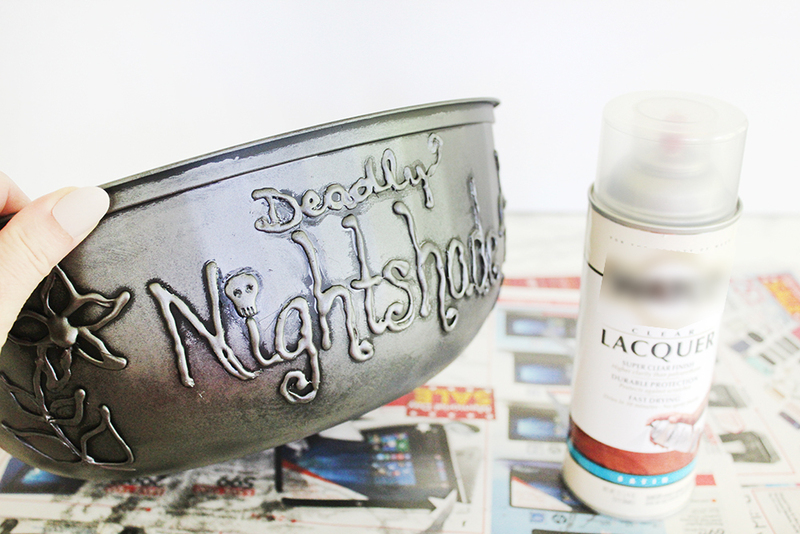 To finish, spray the bowl inside and out with a good layer or two of the clear lacquer. All done! Super-easy and super-cool. 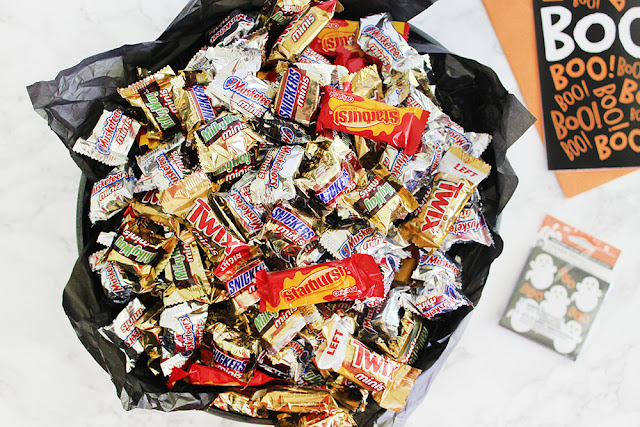 Fill your spooky bowl with a bulk bag of MARS® candy from Sam's Club and you're ready for the Halloween BOO'ing season! Have you ever BOO'ed anyone or have you been BOO'ed? Who would you surprise this year? I love to read your comments!